Yesterday on 11.11.11 at 11am GMT Sarita gave her first webinar and guided 92 people in 29 countries in the Universal Heart Meditation. The Universal Heart Meditation is a very potent way to expand into infinite love and helps us welcome the new energy – the highest frequency available to humanity at this time. It originates from Mongolia, where it was created by nomadic Tantric adepts to bring about spiritual liberation for individuals, couples and, ultimately, the entire planet. Despite various technical problems with the webinar, it was a beautiful and powerful experience. It was so touching to get people’s feedback about how wonderful it was to be connecting with so many people around the globe meditating together. Sarita very much wanted to connect with you on 11.11.11 as this was a portal into the new dawn. It wasn’t just a one day event, but the start of a new energy wave where whatever people are putting out either consciously or subconsciously will become the new program for humanity. So, obviously, we need to manifest maximum love vibrations. There will be many groups of meditators worldwide supporting the change, and this is Sarita’s way of contributing to the shift. I saw somewhere that this energy wave will continue until 11 January 2012 (I think this was the date) so there is still plenty of time to practice the meditation and use it to help focus our lives. On 11.11.11, the portal will open and the first wave of these divine energies will flow to every man, woman, and child reminding all of our true nature. We are eternal spiritual beings born of Source Energy. When we connect to our truth and see beyond our personality self, we discover the magnificence of our being and the inner love, beauty, innocence and worth that is contained within each of us. The light is intensifying as we all align to our divine consciousness in our evolutionary transformation. The triple energies present in the 11.11.11 is an activation point for the energies of the divine within all of humanity, which opens the portal of truth about who we are and our ascension process. We are offered a choice now to connect to our divinity within – time for us to remember our true nature – a wake up call to join together in spreading the love. 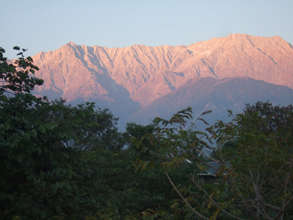 Sarita was broadcasting from the Himalayas – a very kind business person lent her an office so that she could use his internet connection in a quiet environment. We had had a practice run the day before with Sarita in a noisy internet cafe (it was a national holiday in India) and Sarita had no problem getting on the webinar. However, the day of the real thing, she couldn’t get on and nor could Suta who was in England! Luckily, it’s also possible to join Gotowebinar using Skype or telephone so finally Sarita managed to get connected at about 2 minutes past 11.00! What a relief! I’ve heard that several other people also couldn’t get on as the Gotowebinar software was going very slowly. We’re really sorry about that but don’t worry – Sarita is planning to do more! We managed to record the webinar yesterday and we’re doing our best to make the recording available to you – technical issues again at the moment, but we’ll post the link here and on Sarita’s Facebook Page if we’re successful. We discovered that playing meditation music through Gotowebinar does not give good quality music so we’ll be looking at other ways of sharing with you over the internet when we are using music. If anyone has any suggestions, we’d be very interested to hear them – please email them to Sidika at online@tantra-essence.com. So if you would like to practice the Universal Heart Meditation, the best option is to buy the CD from the Tantra Shop where it is on special offer at £6 including postage and packing worldwide for the month of November (N.B. This CD was previously known as the Meditation of Liberation). Alternatively, if you are in the UK or US you can buy the mp3 download from Amazon.co.uk or Amazon.com . How to practice tantra within a family life and how we can help our kids to grow up with this work and understanding. Also maybe some personal guidance somehow for couples (especially with young children) who can’t make it over to regular tantra workshops and still wanting to connect, grow and study with you Sarita. Another meditation would be good + ways of bringing tantra and awakeness into everyday life and the problems it brings. There is a lot of info coming my way about economic collapse/disaster looming, food shortages/civil unrest etc. I’d like some guidance about being prepared – putting this in a bigger context. Sarita would love to hear more of your suggestions so that we can plan future internet events. Those of you have been able to attend live workshops with Sarita know how amazing and transformative they can be. Now with the internet and other technology there is so much potential to bring Sarita direct to you wherever you are in the world so that we can share and meditate and transform together – how powerful and exciting – especially in the run up to 2012! So please add your suggestions (the same as above or new ones) as comments so Sarita knows what is most valuable to you at this time. Much love to you and looking forward to future webinars. P.S. In case you didn’t know, Sarita is already available online via her Vigyan Bhairav Tantra online meditation classes – these are really beautiful and transformative. P.P.S Here is a link to the replay for Windows (PC) users and for Mac users here is the audio link (sorry video not available). For the actual meditation part, I suggest you listen to the CD or the mp3 download.